Buddha Memorial Hall, Geologically seated in west and face toward east direction, covering a total area of one hundred hectares, it took nine years to finish, and design was amended for many times, becoming this main topic style, the main building on the central axial line, from east to the west follow buildings was called "Welcome Hall”,” Eight Pagodas”,” PhotoTerrace” , “Bodhi square “, “ Main building”, and “Glory Buda”. “Soul Hill” located at south, Gion garden located at north. The Museum pattern is “Eight pagodas” in front, “Glory Buda “ at back, south get “Soul Hill”, “Gion garden” at north. The building height is about 50 meters, area of 4,000 pings, style as covered bowl tower, total get seven floors. Inside main temple with Gold Buddha temple, Jade Buddha temple, Relics temple, Guanyin temple, Ta Jue Hall. In addition to the museum dedicated to the Buda tooth relic, but also has a large multifunction display space. There are four pagodas at four sides, the tower alcove embossed, each tower has Buddha statues. Underground has 48 underground palace, showing all kinds of related artifacts, but every hundred years will open a room, turn on all the underground palace would take 4800 years. 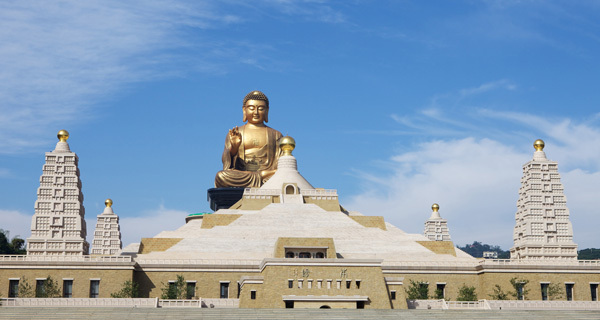 Bodhi Square area can allowed 30,000 persons at same time, there are 18 Lohan status surround, along the gallery were embossed the story of Buddha and the buda praise from the book of Great Master. In front of the square, there are 37 steps for visitor to take photo, as the symbolize 37 stages in Buddhism. Ancient Capital Tainan, the ancient capital of Taiwan, is situated on the southwestern coastal plains of the island and enjoys a warm climate year-round. In earlier times, Anping was known as "Dayuan," the origin of the name "Taiwan." It is known not only for its deep culture and history, but also for its sunsets, nightlife, beautiful natural scenery, ocean activities, and delicious cuisine. 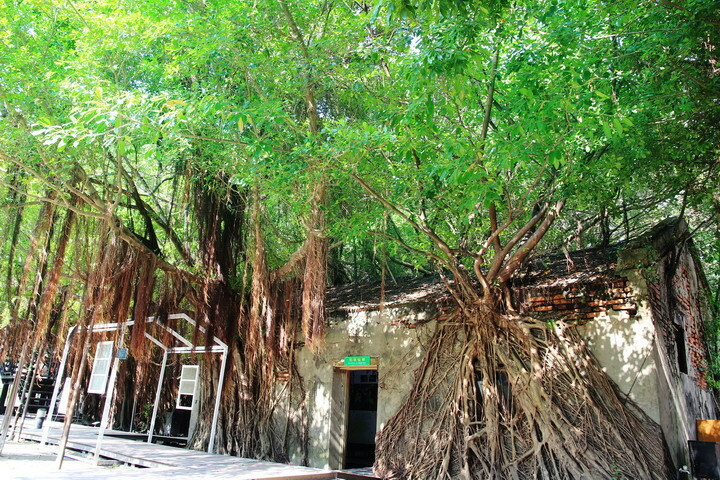 Anping abounds with historic sites—Anping Fort, the Eternal Golden Castle, and Anping Tree House are a few of its major attractions. Other points of interest include the Old Julius Mannich Merchant House, Haishan Hostel, Tait & Co. Merchant House and Anping Minor Artillery Fort. 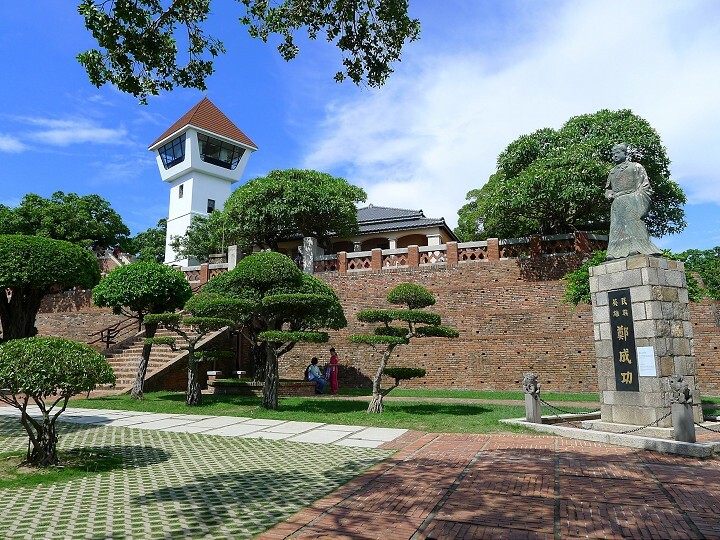 These historical sites reflect the history and architectural styles of the Dutch occupation, Cheng Cheng-kung (Koxinga) period, Qing administration, and Japanese colonial era, embodying more than 300 years of quintessential history in Taiwan. No visit to Anping is complete without trying the amazing array of delicious local foods—shrimp cakes, bean curd pudding, candied fruit, shrimp rolls, oyster rolls, fish ball soup, and oyster pancakes, for a start. The shops around Yanping Old Street are good places to find distinctive mementos and gifts—no one leaves Yanping empty-handed!